Looking for a unique photo scrapbook or guestbook for your special event? 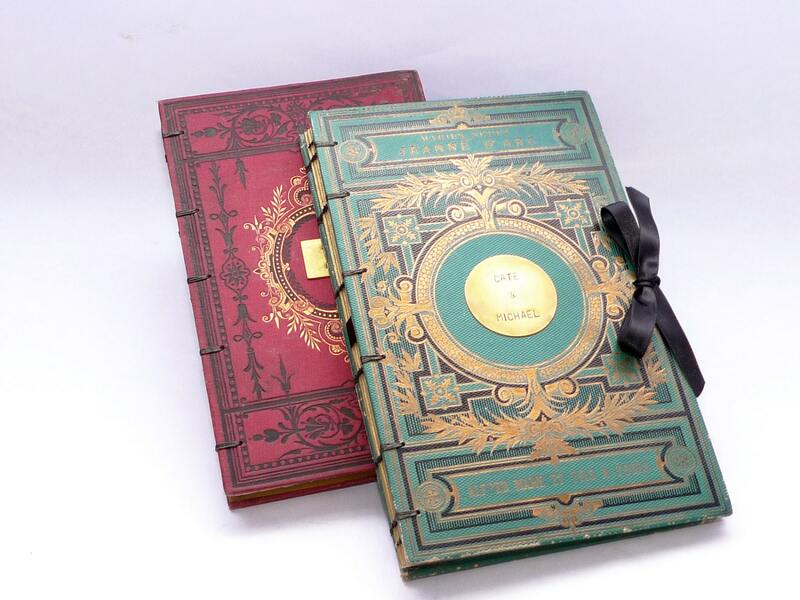 Spellbinderie transforms beautiful antique French books into timeless keepsakes by removing the original text then rebinding the cover with high quality blank paper. 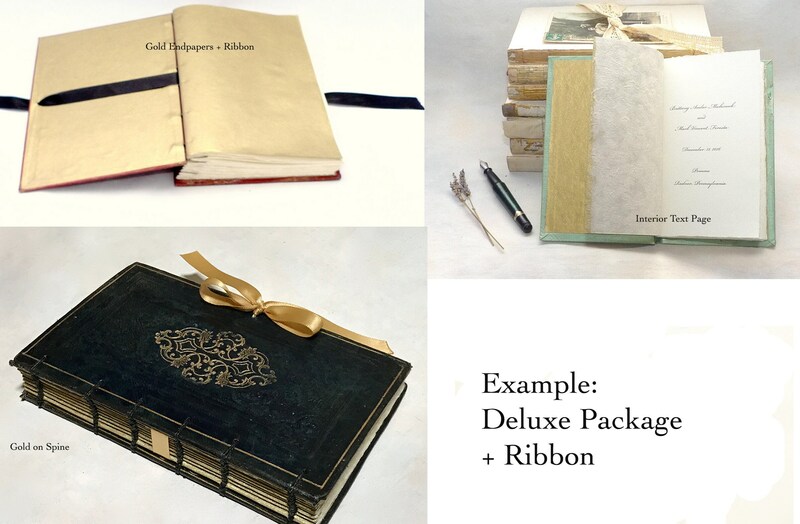 Fully customizable, you choose the book cover and options. To start, click here to see my current selection of large book covers. If you don't see what you want, contact me with your request, I may be able to find the perfect book for you. To fulfil your order, you must provide me with certain information (which you authorized Etsy to provide to me), such as your name, email address, postal address, payment information, and the details of the product that you’re ordering. You may also choose to contact me directly to provide additional personal information to complete your custom order. WHEN WILL MY ORDER BE READY? DO YOU DO RUSH ORDERS? 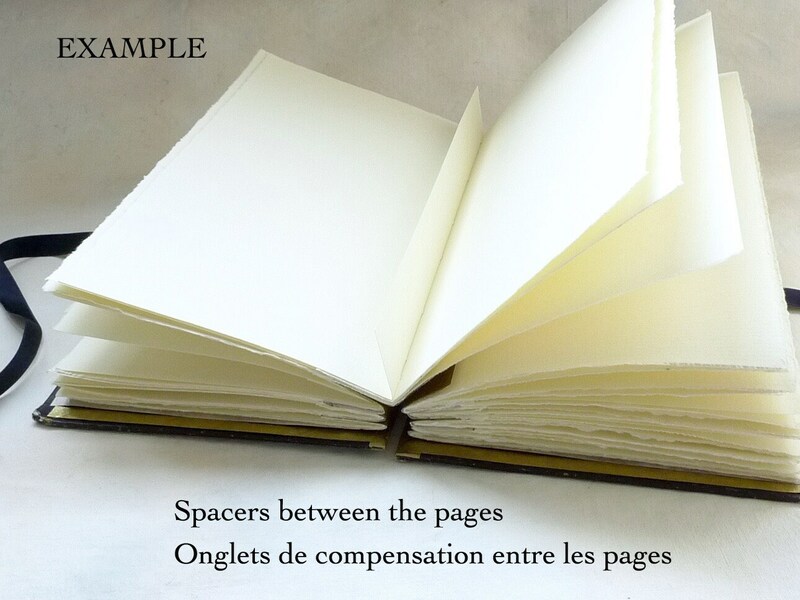 Spellbinderie's blank books are made to order after payment is received. Each listing has a processing time indicating how long it will take to make your order once you've paid. Tight deadline? Rush orders may be available, please inquire. 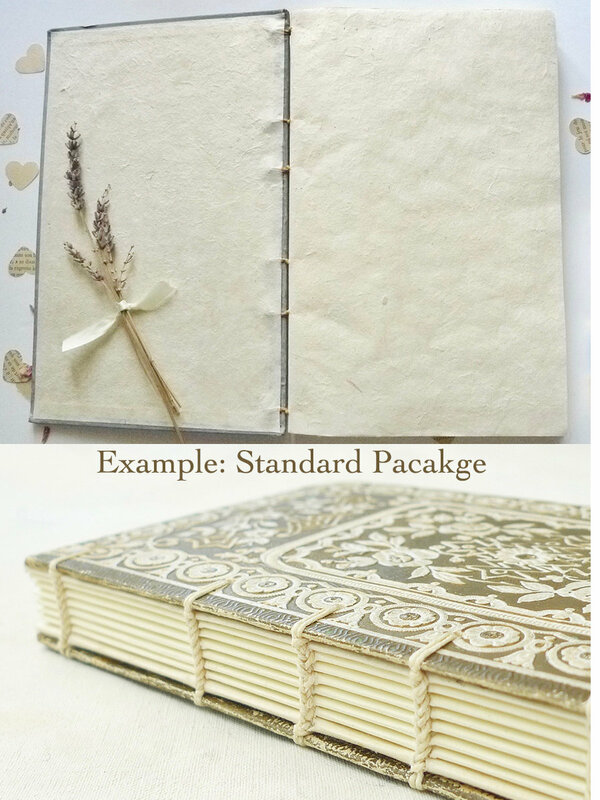 CAN I MIX & MATCH OPTIONS FOR MY GUESTBOOK / JOURNAL? 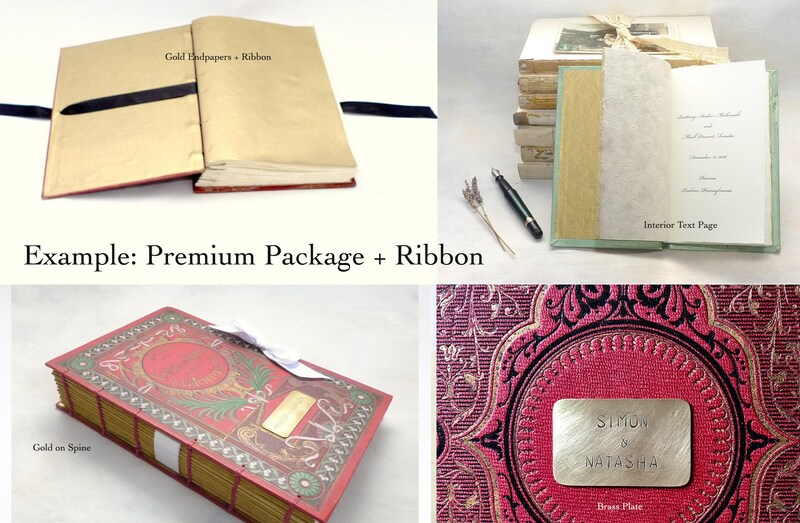 Or contact me with your request(s) and I'll create a custom package for you. Don't hesitate to request options that you don't see in the shop. I'm happy to work with you! You may cancel any order within 24 hours of placing it and receive a full refund no questions asked. For non-personalized / custom items, the cancellation period man be extended until the item is shipped. 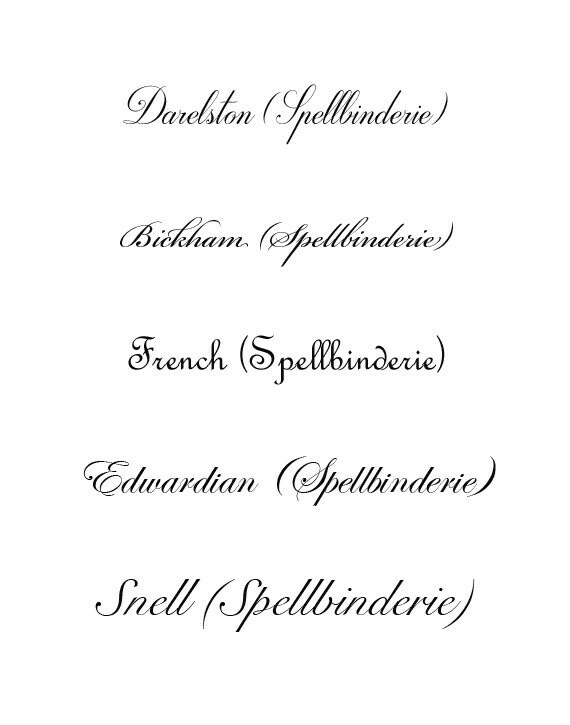 Please notify Spellbinderie tin writing via Etsy message or email of your cancellation request. Once your return is authorized, you have 14 days to send the goods back. Proof of return, such as a tracking number, is recommended. A refund will be provided within 14 days of receiving the returned item. For custom & personalized orders, if you wish to cancel more than 24 hours after purchase, please contact the shop owner to inquire about a partial refund. You may return any non-customized / non-personalized order for up to 14 days after receipt. Simply contact the shop to alert the seller of your request. Return shipping fees are the customer's responsibility unless seller made an error or item is not as described. Customers are recommended to ensure adequate packing and insurance for loss or damage in transit. A service with proof of posting and delivery should be used. The customer is chargeable, up to original order value, for goods that are not received back or are returned damaged / not in original condition. For international returns from outside the EU, packages must be marked as "RETURNED GOODS". If you have any questions about your return, don't hesitate to contact the shop. Orders are shipped standard with La Poste using priority mail. Express shipping through Chronopost is available as an upgrade, see Express Shipping for more information. Please make sure that your delivery address is correct when placing the order. For packages that are lost, a refund will be given once my post office declares the package lost. Investigations can take 30 days. For packages that are damaged or stolen en route, please contact your local post office immediately to open an investigation. Photos of the packaging and items that are damaged are required. Once photos and a copy of your stolen package report (if applicable) are received, you will be fully refunded. The page count given in listings counts both the front and back of each paper, not individual sheets. I offer two types of exposed spine bindings, Coptic for smaller light weight books and Raised Support for larger, heavier books. 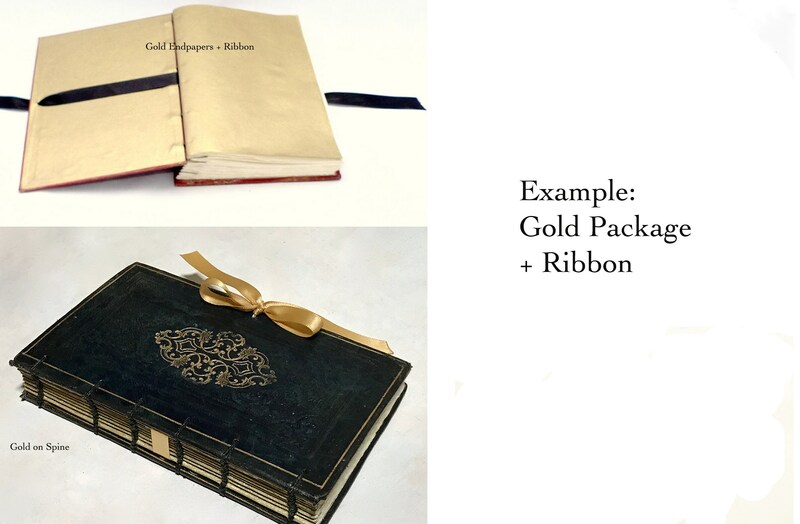 These exposed spine binding offer flexibility and beautiful design options for rebound books. Due to the nature of rebinding old books, the original spine must be destroyed in most cases. •For plaques: Text must be submitted within 24 hours of your order. Please check your Etsy messages regularly to approve drafts. Unfortunately text sent later than stated above may result in a delayed ship by date. Why can't the original spine be kept as is? Often the old fabric that covers the spine is too fragile to keep. Additionally most old books have rounded spines rather than flat. To properly rebind these old books, it's necessary to make a new rounded spine, not a flat spine. This method also dictates the page count whereas an exposed spine allows choice. I offer exposed spines for my rebound work due to its beauty combined with practicality and most of all to ensure you receive a rebound book that will last. Spellbinderie is not VAT registered therefore VAT is not applicable. Karen was a delight to work with, and our guestbook is everything we could've hoped for and more! Communication with seller was amazing, she helped me decide with finishes and even created a custom listing for exactly what I wanted! It came out amazing and was wrapped so sweetly. Can't wait till my wedding!